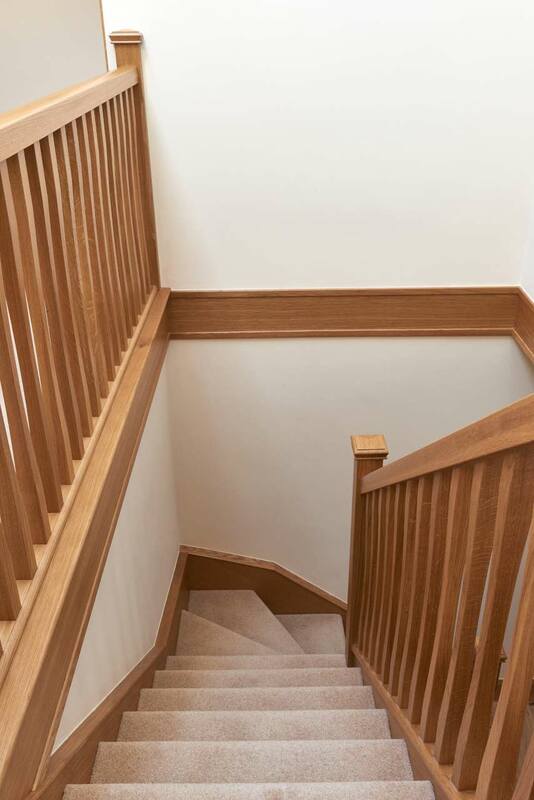 It’s time for another customer story, where we take a look at just one of the many staircase refurbishments that we have recently worked on. Having built their own home back in 1998, their house was hugely sentimental to them. “We found the plot of land and fell in love with the views,” they explain. With their house overlooking a beautiful Welsh valley just outside Newport, it’s easy to see why. 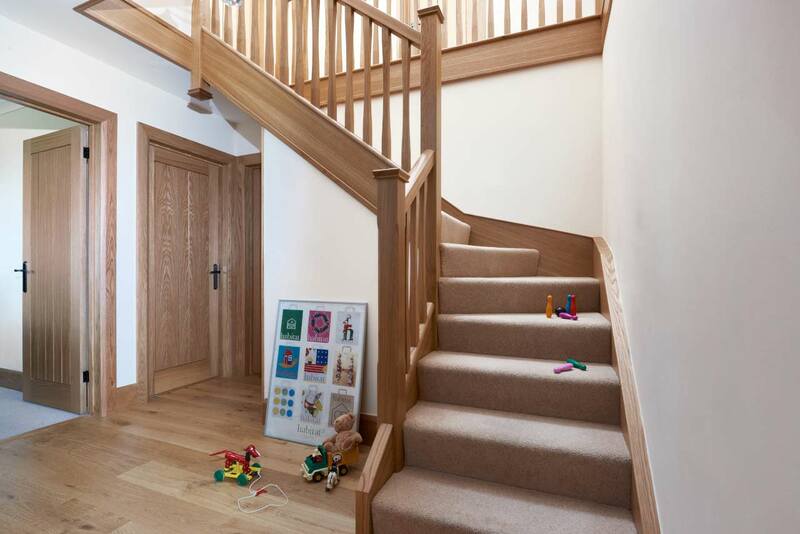 However, having built the house quite a few years back, the interior needed updating and the Penfolds decided they wanted a bespoke staircase as the focal point of the hallway. 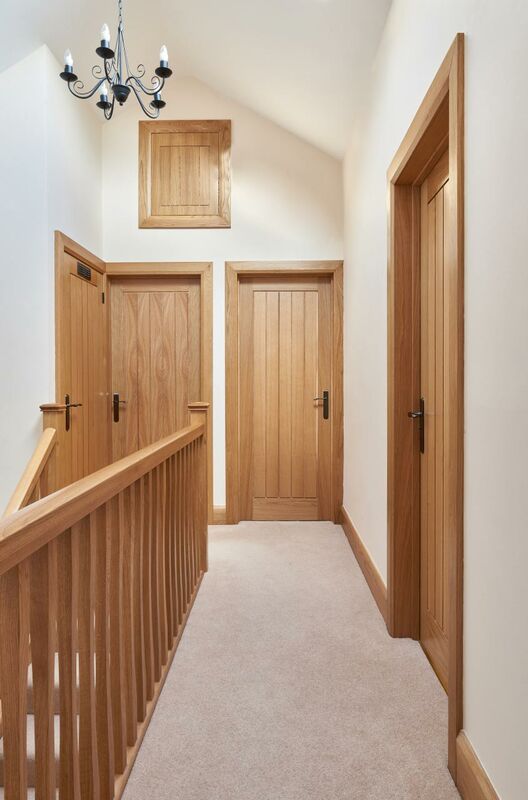 The Penfold’s kept their original staircase frame, using the oak to update it and also stabilise the original design which wasn’t fixed to the wall securely. 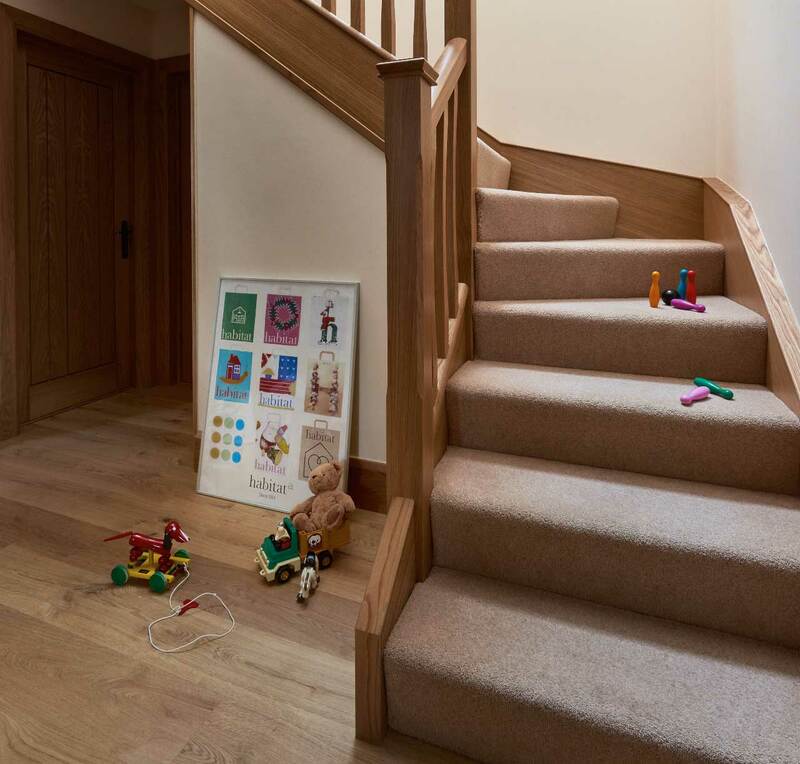 The addition of a stylish cream carpet creates a soft look which is in keeping with the Penfold’s classic and sophisticated interior taste. When asked about the Jarrods approach, the Penfolds were more than complimentary. “Working with Jarrods was a very personal and thorough process. They made us think about aspects of the design process such as the detail of newel posts and caps that we wouldn’t have otherwise considered,” they said. Thanks so much for the kind words, it was a pleasure to work with the Penfolds on their stunning new staircase. 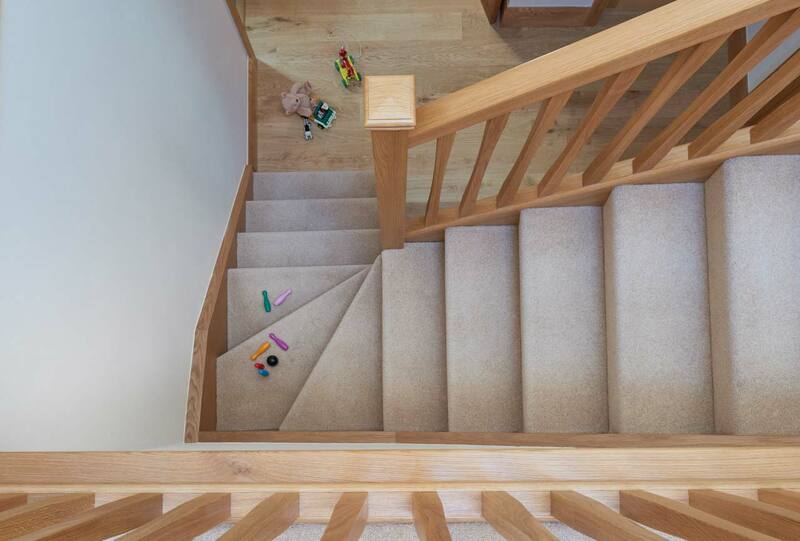 If you’re feeling inspired by Mr and Mrs Penfold’s experience, get in touch today to see how we can bring your dream staircase to life.